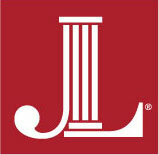 The Junior League of Birmingham will again grant thousands of dollars through its JLB Scholarship fund. Applicants must be female and reside (while not on campus) in Jefferson or Shelby counties or Birmingham city. To be eligible, applicants must enroll as a full or part time student in any private or public accredited two or four year school for the 2019-2020 school year. Graduate students are also encouraged to apply. These one-year scholarships will each be a minimum of $1,000. The Scholarship application is now live. Applications will be accepted between now and March 1, 2019. For more information, please reach out to the Scholarship chair at scholarship@jlbonline.com.